Many modern football fans have been deluded into thinking top-level football in Victoria started in 1897 when the VFL (now AFL) was formed but the clubs and players that established the VFL were all originally part of the VFA until October 1896. 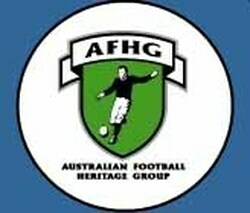 The VFA served as the governing body of Victorian football from 1877 to 1896 and is the second oldest of Australia's first-class leagues. Yet today the Association's crucial role in the formation and development of the game during that important pre-VFL period remains largely overlooked. Modern concepts pioneered by the VFA during the late-1800s include: interstate/representative football (1879); an official ladder with all teams ranked (1888); standardised fixturing (1894); and the first use of boundary umpires (1895 Charity Day). Since the infamous split of 1896 the Association has faced numerous challenges to its ongoing existence. Today it continues, albeit under a new name and structure, and with only a few of the traditional clubs still involved. Throughout the 1860s and 1870s a handful of metropolitan and provincial clubs competed for Challenge Cups. These matches were dominated in later years by Melbourne and Carlton and the ad-hoc nature of the matches led to friction between a number of clubs and the competition became increasingly divided. It was this need for a more formal structure, combined with the widespread emergence of new clubs throughout the colony, that ultimately led to the formation of the Victorian Football Association (VFA) on May 17th, 1877 - a week after the South Australian Football Association (forerunner of the SANFL) was formed in Adelaide. Whilst the VFA initially featured a number of provincial and junior clubs, the competition quickly became metropolitan-based with only the Geelong Football Club and the Ballarat clubs providing any sort of ongoing provincial presence. Frustrations persisted throughout the competition's early years due to the lack of standardised fixturing. With clubs able to set their own match schedules throughout much of this period, a clear divide between the strongest and weakest clubs soon emerged. On October 2, 1896, the day before a controversial premiership playoff, the VFA suffered a crippling blow when its strongest clubs broke away to form the Victorian Football League (VFL). At the time Collingwood, Essendon, Fitzroy, Geelong, Melbourne and South Melbourne were the undoubted leaders of the competition on and off-field, and they invited St Kilda and the former powerhouse Carlton - on the proviso the Blues could secure a suitable home ground - to join them in the new venture. Football folklore says that Port Melbourne, which had been the strongest of the clubs not to move to the new competition, had also been in line for selection but delegates from South Melbourne successfully argued against their neighbour's inclusion due to a perceived issue with crowd violence at North Port Oval. Regardless, the breakaway sparked a bitter rivalry between the VFA and the VFL throughout the following century of football; a fragile relationship that was tested even further by VFL raids in 1908 and 1925 that resulted in the Richmond, Footscray, Hawthorn and North Melbourne clubs all leaving the VFA to join the 1896 rebels. In 1897, the five remaining Association clubs (Footscray, North Melbourne, Port Melbourne, Richmond and Williamstown) were joined by the Brunswick Football Club as the Association began its fight for relevance and, ultimately, for its very survival. Port Melbourne won the 1897 title - the first of a record 16 to date - and this was followed by a hat-trick from a very strong Footscray team. The VFA continued to rebuild over the following seasons with the addition of the Prahran and West Melbourne clubs in 1899, Essendon Town in 1900, and Preston in 1903. The loss of Richmond and West Melbourne in 1908 was offset by the addition of Brighton and Northcote. The Collingwood-South Melbourne premiership playoff of 1896 had alerted clubs to the financial gains made possible by a premiership decider. The VFL immediately adopted a Round Robin finals series in 1897 which featured the top four sides of the minor round. This was a goldmine for the League but the system itself proved to be flawed and was replaced by a knockout finals series from 1898. In contrast, the VFA persisted with the pre-1897 model - no finals unless the top two teams of the season finished tied for first place - and by the end of the 1902 season they were faced with an important decision: should they maintain the status quo or introduce a finals series? Having watched an annual finals series generate extra income for their VFL rivals since 1897, and missing out on their own financial windfall in 1901-02 due to final round upsets that removed the need for a premiership playoff, the decision to introduce their own final series was a relatively easy one. The new system crowned a minor premier (the leading team after the home-and-away rounds) and comprised two semi-finals (2nd vs 4th and 1st vs 3rd) followed by a match between the winner of each semi-final. If the minor premier won their semi-final and final, they claimed the premiership. If they lost at the semi-final or final stage, they had the right to play a challenge final the following week; thus ensuring the top team always played-off for the title. Richmond, Footscray and North Melbourne - three clubs that would later move to the VFL - dominated the 1897-1924 period. At least one of these teams played in 17 of the first 20 Grand Finals contested, winning 13 of them. On the inter-league front, in 1897 the VFA challenged the VFL to a clash of their premier teams but the match could not be finalised due to neither party agreeing on the number of players per team. However, by the 1898 pre-season the acrimony between the two football bodies had settled enough for the first practice matches to be played between VFA and VFL clubs. In 1902 the serious illness of former Melbourne champion Fred McGinis brought the League and the Association together for a one-off fundraising match between their representative teams. A further opportunity presented itself in 1904 when the South Australian Football Association (SAFA) ceased interstate matches against the VFL because of a dispute over the sharing of gate takings. The VFA took advantage of this opportunity, infuriating the VFL by arranging two representative matches with the South Australians, to be played in Melbourne and Adelaide in 1905. The teams were surprisingly well matched with the VFA losing to their highly-fancied opponents by just 3 points and 7 points in front of crowds equal to those of the SAFA-VFL era. The VFL response was emphatic, calling a meeting in November 1905 of the major football leagues and associations from across Australia and New Zealand, which resulted in the formation of a national body to control Australian Football: the Australasian Football Council. In 1906 the VFL went further, moving two matches from August 4 to August 11 in order to draw crowds away from the VFA-South Australia match. It had the desired effect with the Association's crowd reported as "only moderate" whilst an estimated 25,000 fans watched Carlton take on Fitzroy in the League's top of the table clash. The VFA was incensed and at season's end banned their clubs from playing any future matches against VFL teams. [The Argus 1-4-1907]. Richmond, who had been amongst the strongest Association clubs on and off-field during the previous seven seasons, promptly lodged their application. The other application came from the North Melbourne and West Melbourne clubs who sought to join the League as a merged club. The two clubs seemed a natural fit for a merger: West Melbourne had won the 1906 VFA flag and finished second in 1907 but off-field they were struggling financially and had just lost their home ground (from 1908 University would replace them as Essendon's co-tenants at the EMCG). North Melbourne were financially strong and were settled at the Arden Street Oval but were struggling on-field, their premiership success of 1903-04 now a distant memory. In late March they applied to the VFA for re-admission but were again rejected for their disloyalty and within days both clubs were formally defunct. [The Argus 26-3-1908 & 4-4-1908] The following week a group of North Melbourne locals set about re-forming the club and the new entity was formed at a public meeting on April 15th. The next day the club applied for admission to the VFA and was accepted, on the proviso that no person who had formerly served on the committees of the old North Melbourne or West Melbourne clubs could serve on the new committee. [The Argus 4, 16 & 18-4-1908] This left West Melbourne standing alone after the events of the previous months. The club disbanded, but re-formed briefly in April 1908 to play a match against Essendon in an attempt to clear the club's debts. Season 1908 was highlighted by Australian Football's first national championships, organised by the AFC and hosted by the VFL. The Association had no part in the national carnival and their Grand Final was originally scheduled for Princes Park, Carlton on August 29 - the same day as the carnival final. The VFL, eager to avoid a clash with their showpiece event, brokered a deal that would see the VFA Grand final moved to Monday, August 31st in return for the Association final being played on the MCG. This proved highly fortuitous for the Association as the Monday was an unofficial holiday in Melbourne, with huge crowds flocking to the city to witness the arrival of the U.S. Naval Fleet in Port Phillip Bay. Afterwards they drifted towards the city resulting in a crowd at the MCG estimated at between 41,000 and 44,000* - a VFA record that would stand until 1939 (*The Age has the paid attendance at 33,760 - members, officials and those who snuck their way into the stadium were not included in this figure). VFA TABLES - year by year VFA match results and ladders from 1877-1995 compiled by Andrew Robinson. His extensive research into the VFA's earliest seasons - a challenge that has previously defeated many football historians - is an invaluable resource. VFA FOOTY: THE HALCYON DAYS - a facebook group featuring countless photos and videos sent in by fans and former players. VFL FOOTY - an unofficial league site for passionate fans of the VFA-VFL; features VFL news, online forums, match discussion and historical information. BOYLE'S FOOTBALL PHOTOS - Ken Mansell and Michael Riley's excellent website features images of many VFA teams and players of the 1930s and '40s. VFL OFFICIAL WEBSITE - features articles and news on the current season along with archived results from the previous two seasons. Good for current events but like most of the State League sites is frustratingly poor for historical information (e.g. no lists of Grand Finals or representative matches and zero mention of Division 2 Grand Finals, award winners, goalkickers, etc).